As part of an ongoing study on children’s health in Québec, 2,000 teenagers were asked about their reading habits. To the question “In an average week, how much time do you spend reading for your own pleasure (including books, magazines, newspapers and time spent reading on a computer or the Internet)?” Fifty-two percent answered that they read one hour or less weekly or said that they simply never read for pleasure. 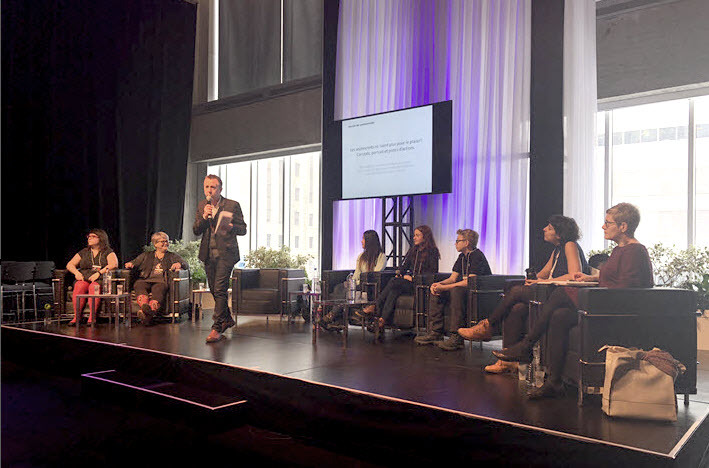 The study, Étude longitudinale sur le développement des enfants du Québec (ELDEQ), from the Institut de la statistique du Québec, began in 1998 and is designed to continue to 2023. 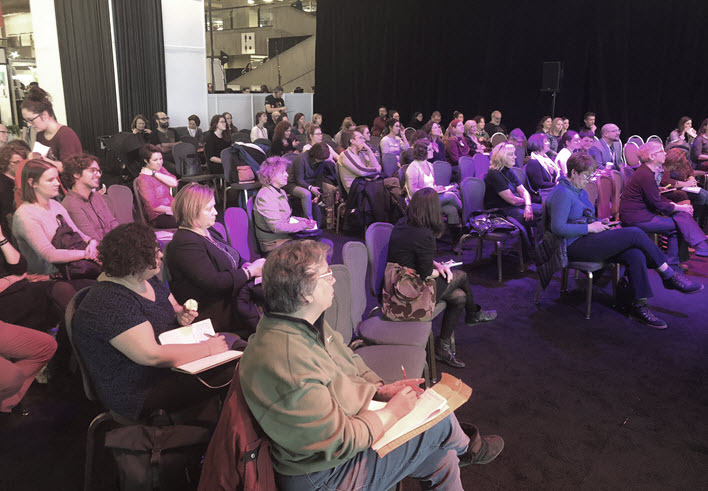 In a discussion at the Salon du livre de Montréal earlier this month, the most recent findings of the survey were examined by psychologist Marie-Hélène Séguin; retired high school teacher and author Lyndia Dion; teacher and reading facilitator Isabelle Bujold; author and slammer Queen Ka; as well as high school students Jérémie Carrier, Mélisandre Fecteau, and Lian Boily. Here are some highlighted comments from the session. Lyndia Dion, teacher and author: Reading for fun means reading by yourself, but outside of school, kids don’t read. The first opportunity is at home but they don’t have a role model at home who reads. The problem is not only at school, although school can do a lot of damage when it comes to youths enjoying reading. A lot of teenagers arrive at school with their own reading habits and, at the same time, they’re searching for their own identity. As Grade 9 high-school teachers, we must evaluate the reading abilities of these teenagers. And that’s a problem right there: evaluating a person’s abilities and reading for enjoyment are at opposite ends. Isabelle Bujold, teacher: Reading is still considered schoolwork for most students, but I find that it’s changing. For example, there’s still some snobbishness when it comes to teachers assigning readings and that can kill the spontaneity and pleasure of reading. But I no longer see classical literature like Voltaire’s Candide imposed anymore in class. Marie-Hélène Séguin, student: We have to ask parents and teachers, are there bad books to read? Take the Tabou series, which is very successful among teenagers because it deals with harsh social realities but, seen by adults on high, it’s judged too popular. Lian Boily, student: In Grade 8, I hated my French classes, I hated reading and writing. A teacher can make all the difference in the world. Now I can’t stop reading. The question of screen time is inevitable in any debate concerning teenagers. Rather than demonize screens, the panelists had some original things to say about the topic. Mélisandre Fecteau, student: I read somewhere that our time spent on screens affects our frontal lobes and that we become dependent on the stimulus provided by the screen. As opposed to when we are in a French class we have to create our own stimulus. Isabelle Bujold: I don’t know if I agree with screen time taking away from reading time. Is it because of screen time or is it because of another variable like sports that we have less reading time? Truth is, there’s less time devoted to reading. That being said, a lot of teenagers read novels on tablets. Queen Ka, author: At Cegeps [a college in Québec], teachers told me that students wanted an audio version of a book because they no longer have the attention span to go through a book, cover to cover. Lyndia Dion: Screens are here to stay. The open pages of a book are like a screen as well, I’ve seen many teenagers addicted to books. Marie-Hélène Séguin: Teenagers are so much more informed than they used to be. The information is at their fingertips. They’re reading perhaps fewer novels but they are reading. Jérémie Carrier, student: I like learning about science and astronomy. I can’t always go to the library but I can watch a YouTube video. The information is right there. Is it the same as reading a book? Probably not because it’s a passive activity, but in terms of information you find everything on the Internet. Lian Boily, student: Let’s not forget that it costs between $15 and $20 for a book. My parents will buy me that book but many other parents will pay personal expenses before investing in a book. On the Internet you have access to free books. That has an impact on reading. When it came to solutions, all the panelists had precise suggestions. Marie-Hélène Séguin: Parents reading to their children is a variable which predicts if they’ll read later on in life. Parents can also transmit their love of books and the arts by bringing them to cultural spaces like museums and book fairs. Parents and teenagers then become partners in this shared cultural space. I believe that teenagers are interested in the dream world they find in reading. Teens are impatient and driven by relentless hormones but reading can still find a place in their rapidly developing brains. And teens will want to read books that address their own interests. Adults have to be open to that. Lyndia Dion: Often the problem, school can be turned into the solution. Through school we can foster and develop their desire and pleasure to read rather than extinguishing it. In my class, the first thing that I would do was to establish each student’s reading profile. Some students like to read and some students hate reading and that’s just the reality. As a teacher, I have to take them as they are and start climbing the steps from that level. Isabelle Bujold: Reading in front of my students is very important. We have recreational reading time every day, even during exams. We read together and we even play this little game. I tell them if you don’t like at least one of the five books we read, I’ll give you $10. In 20 years, it has cost me zero dollars. 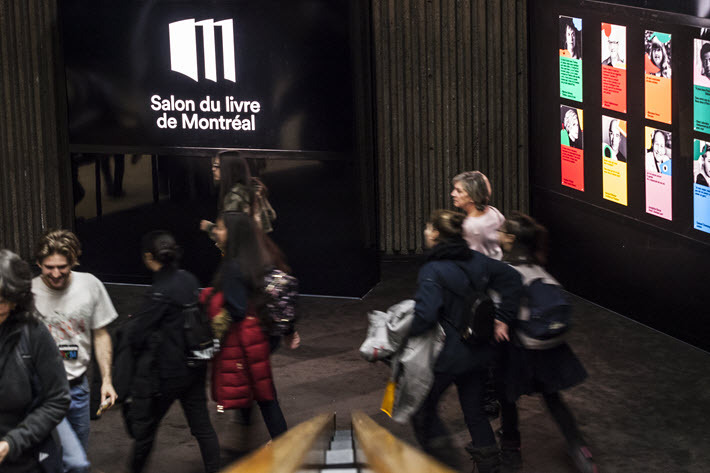 More from Publishing Perspectives on Montréal’s Salon du livre is here, and more on reading is here. Messages and social media are both reading and WRITING for pleasure. I doubt any previous generation put so much effort into reading such small texts and writing so much with their finger tips. When I was a teen I might write a couple of letters every YEAR. Today’s teens write letters electronically every DAY. As for attention span, why does it so dramatically increase at weekends when teens sit for hours at the same game or video? And variable attention spans are not limited to teens, of course. Cost concerns are also quite understandable. I’ve long marveled that the new book industry remains so large with so many books free on the Internet and in libraries. People, teens includes, devote an amazing amount of time and money to things they don’t HAVE to do. Last but not least, audio-books DO require sustained attention, if a somewhat different kind of attention.